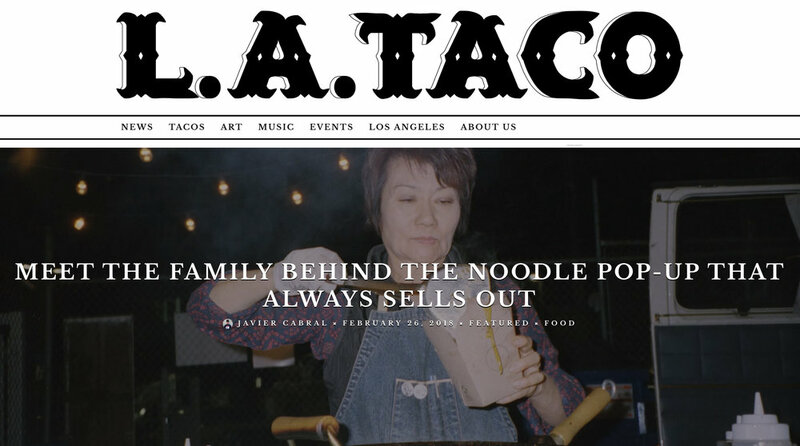 Noodle Love • Eater LA "The Best Dishes Eater LA Editors Ate This Week, April 2018"
Noodles, beer, tarot card readings and vintage at Dry Vtg And. Along with friends Salamat Ceramics, fa.so.la.ti, Virgo Downtown, Max and Vera, and Skivvie Nix. We'll be serving noodles from our stand at Creative Block in San Diego, hope to see you there!